3.1 Amplifier Speaker features premium acoustics, quality construction, easy setup and great value. Bluetooth Speaker take your Home Theater experience to new heights. This Loud Bluetooth Speaker expands the boundaries of what entertainment should sound like. This home theater is combined with streaming playback. This home theater has a rich and powerful bass sound that adds to the sensory impact of the TV room. It can make the rich bass of the floor full of room, reproduce the sound effects such as realistic chords, and let you be there. It has a vibration-absorbing technology, so even if the volume is louder, there will be no box movement or noise. 3. 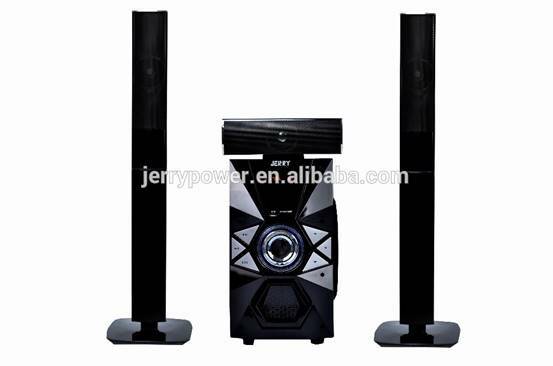 Built-in active power amplifier, as well as super bass, satellite speaker circuit design, making it better sound. 4. It supports multiple wireless playback methods and a network streaming platform, making it easier to play music.